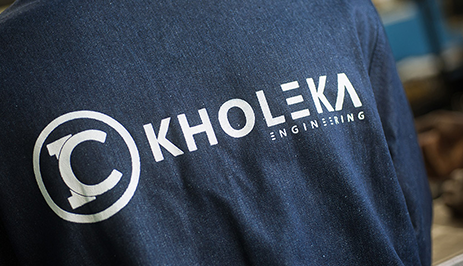 Kholeka Engineering (Pty) Ltd is a proudly South African, Level 1 value added BEE (Black Economic Empowerment) rated company that was established in 2003. We specialise in the manufacturing of Trailers and Truck Bodies. Our BEE status qualifies us as an empowered supplier to the government and corporate clients, affording them a 135% procurement spend advantage. We are 100% owned by Black owned and managed ISIPHO CAPITAL HOLDINGS (PTY) LTD.
Our fabrication team processes large chassis, from cutting and bending through to spraying in the 3-bay spray shop.